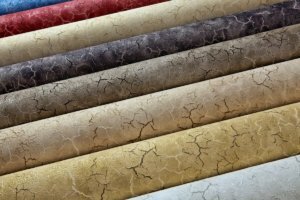 Public joint-stock company Slovianski Shpalery-KFTB (previously Koriukivka industrial paper factory in Chernihiv region), one of the CIS’ major wallpaper producers, in January and February 2018 produced 3.16 million conventional sheets of wallpaper, which was 20.5% up from a year ago, according to the UkrPapir association. According to the association, wallpaper production in Ukraine in January and February 2018 grew by 12.4%, to 4.48 million conventional sheets of wallpaper. The factory’s share of total production was 24%. In February 2018, wallpaper production in Ukraine totaled 8,580 million conventional sheets of wallpaper, which was 21% more than in February and 91% more than January 2018. Taking into account the production indicators, the volume of commodity products of the plant in January and February 2018 increased almost 1.5-fold, to UAH 158.79 million. As reported, in 2017 the factory reduced wallpaper output by 6.1% compared to 2016, to 26.79 million conventional units. In monetary terms, the volume of production remained almost at the level of 2016, amounting to UAH 1.066 billion. Slovianski Shpalery-KFTB cooperates with many well-known global raw material suppliers. The factory produces several kinds of wallpaper, including washable, duplex, vinyl and acrylic wallpaper. It sells over 2,500 designs under the Slovianski Shpalery trademark. Earlier around two-thirds of products made by the factory were supplied to Russia. The factory also shipped its products to the CIS and European countries.